Dr. Alexander Urioste is a radiologist based in La Mesa, California. He has been practicing medicine for the past 16 years. Dr. Urioste graduated from the Wake Forest School of Medicine in 2000. He completed an internship in internal medicine at St Luke's-Roosevelt Hospital Center, a residency stage in radiology at the University of California, San Francisco and a fellowship at the University of California San Diego where he focused on in magnetic resonance imaging. Dr. Urioste’s specialty is diagnostic radiology and he is a board-certified practitioner in this clinical area. Some of the published studies he contributed to are focused on the Dictyostelium discoideum myoJ, the molecular genetic analysis of myoF, cell cycle events, neuronal death. 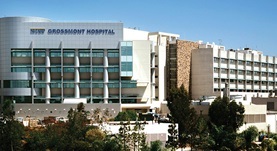 Dr. Urioste is a member of the following professional organizations: the American College of Radiology, the American Society of Neuroradiology, the Radiological Society of North America.At the moment, he is affiliated with the Sharp Grossmont Hospital.